#227. 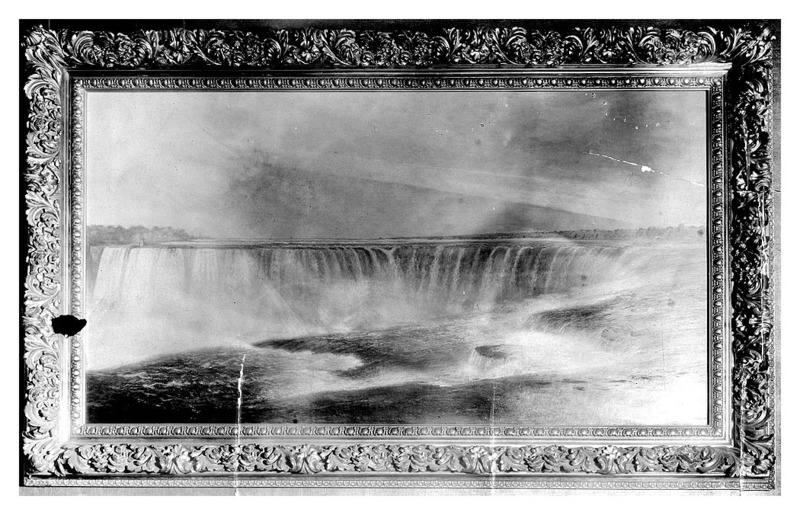 Niagara Horseshoe Falls. ? x ?, oil. "Gilbert Munger 1901(?)" lower left. The present location of this painting is unknown. The scene is very similar to painting #102. The date is hard to make out: 1901 is a best guess. 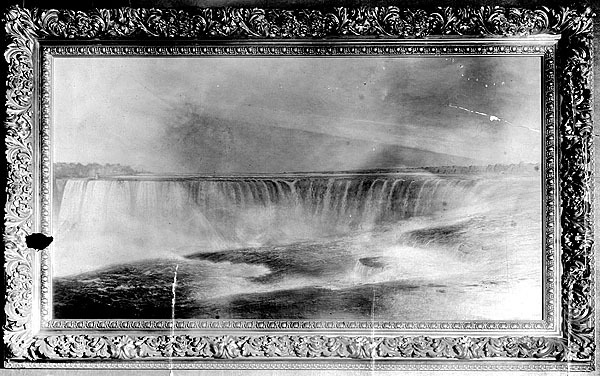 Image from old photograph given to J. Gray Sweeney about 1980 by Mrs. Lester Shervy of Duluth.